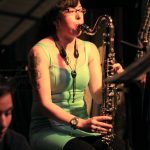 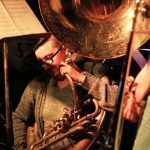 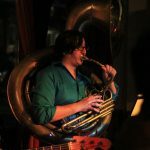 I’m currently based in Kitchener/Waterloo and performing around the Tri-Cities as well as Hamilton and Toronto, making loud and intriguing creative music. 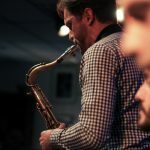 I like things dark, with a quirky sense-of-humour — deeply influenced by the likes of Carla Bley, Tom Waits, Kenny Wheeler and Charles Mingus. 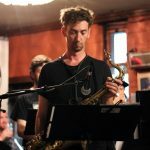 Originally from Nova Scotia, I received a Bachelor of Music at St. Francis Xavier University (2003) and then completed a Master of Music in Jazz Performance at the University of Toronto (2009). 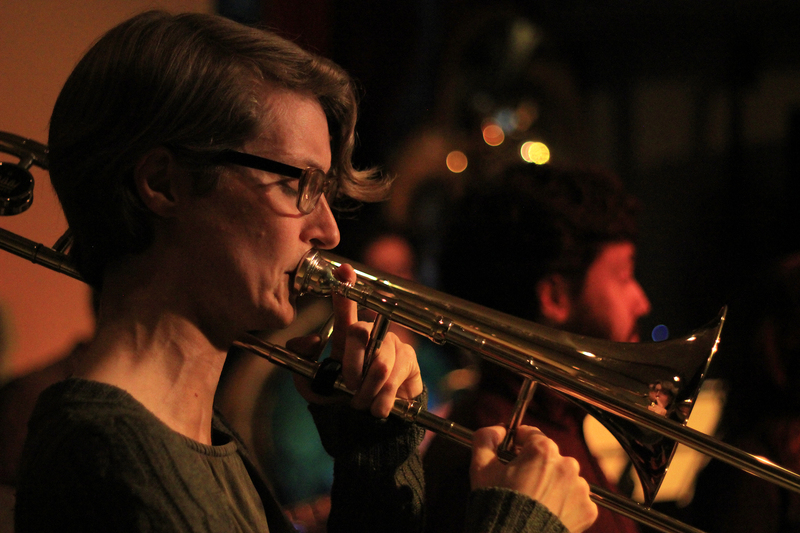 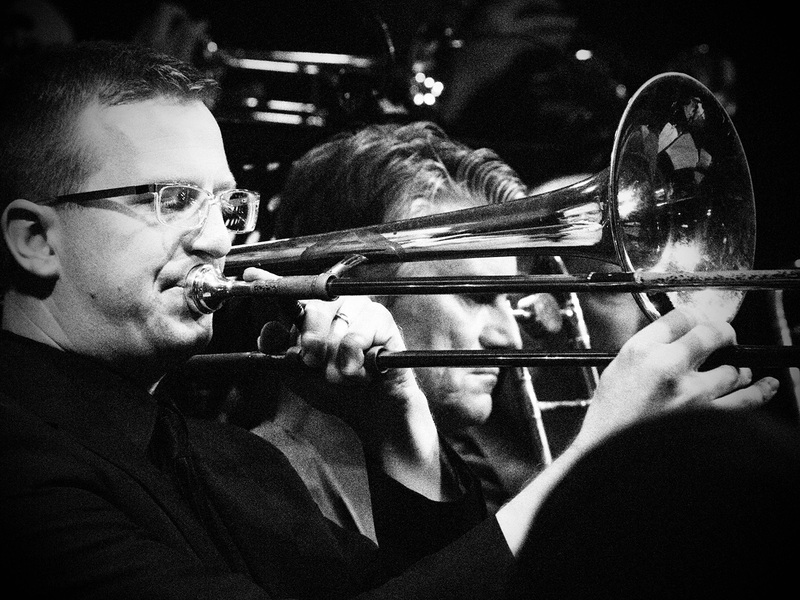 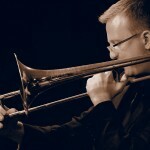 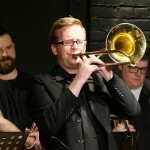 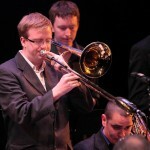 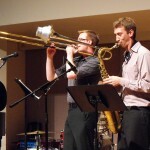 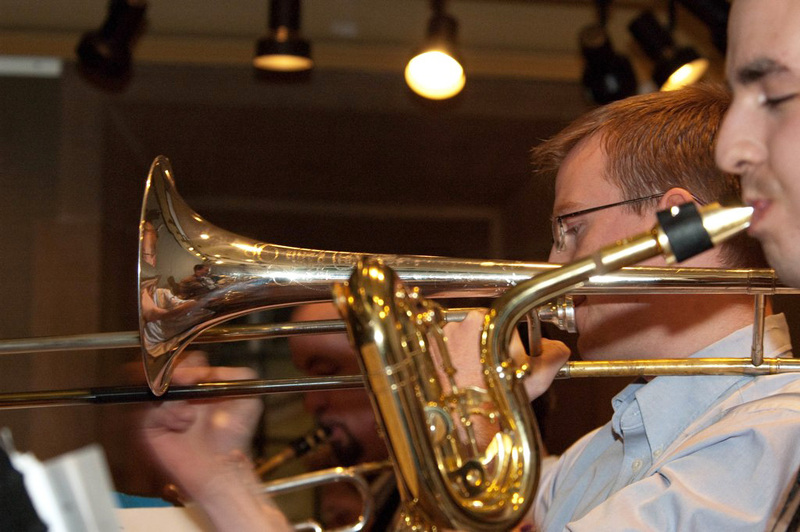 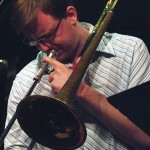 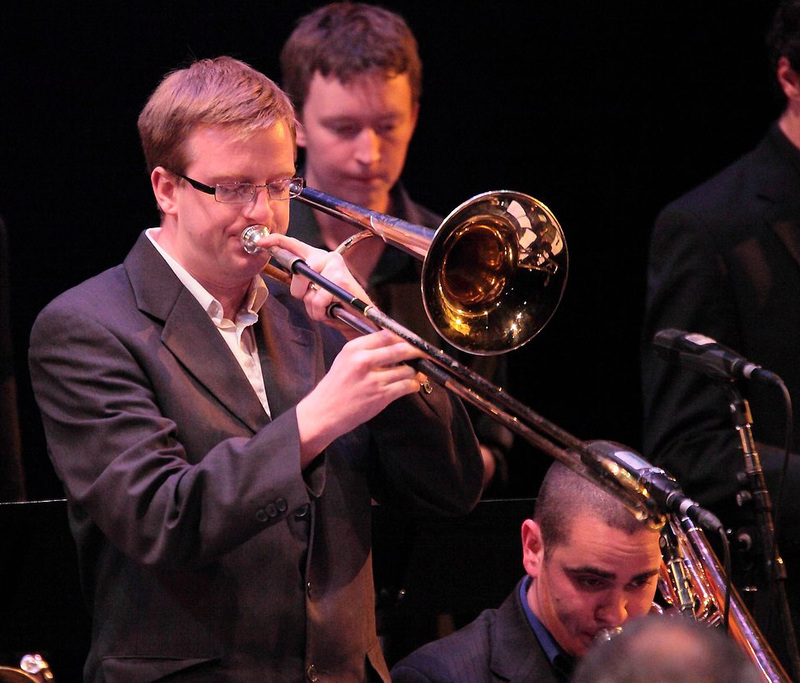 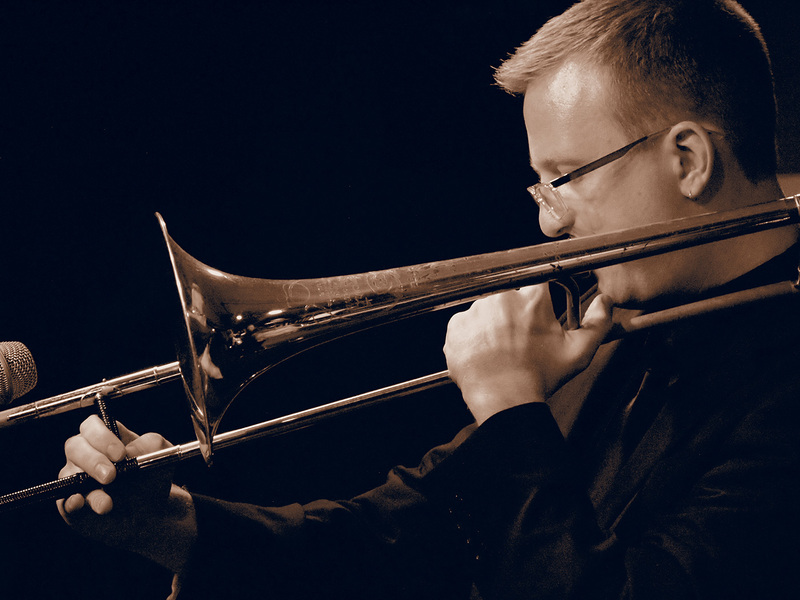 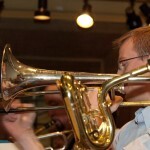 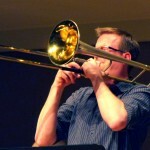 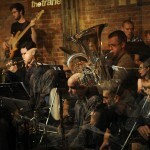 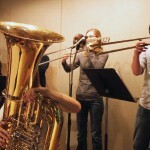 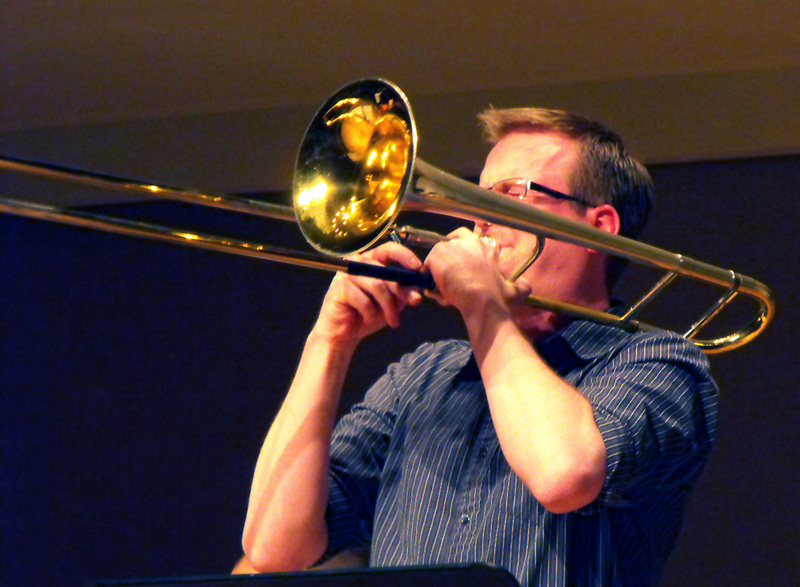 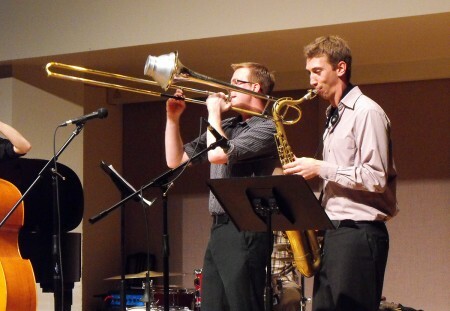 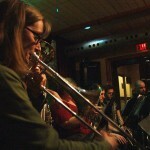 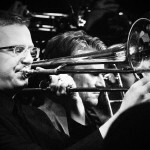 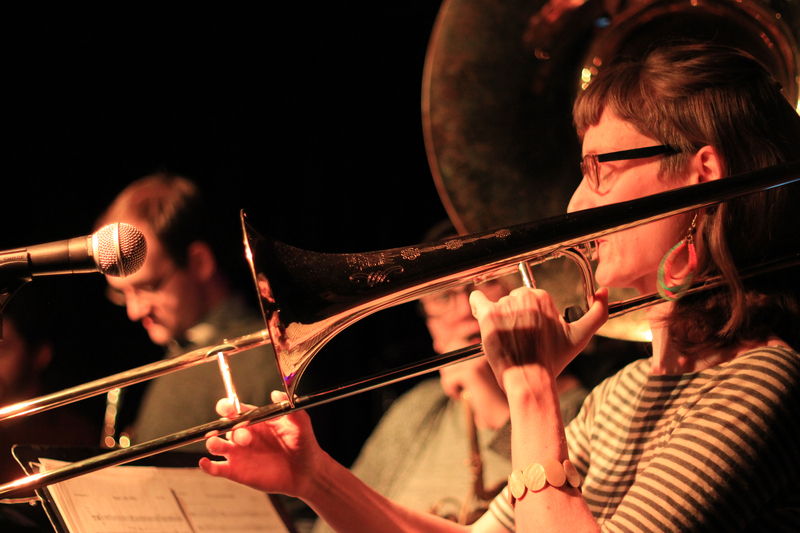 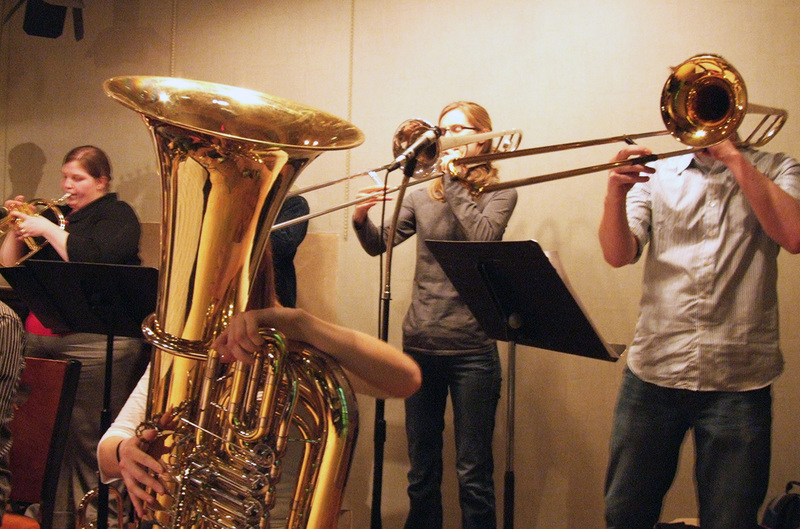 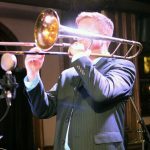 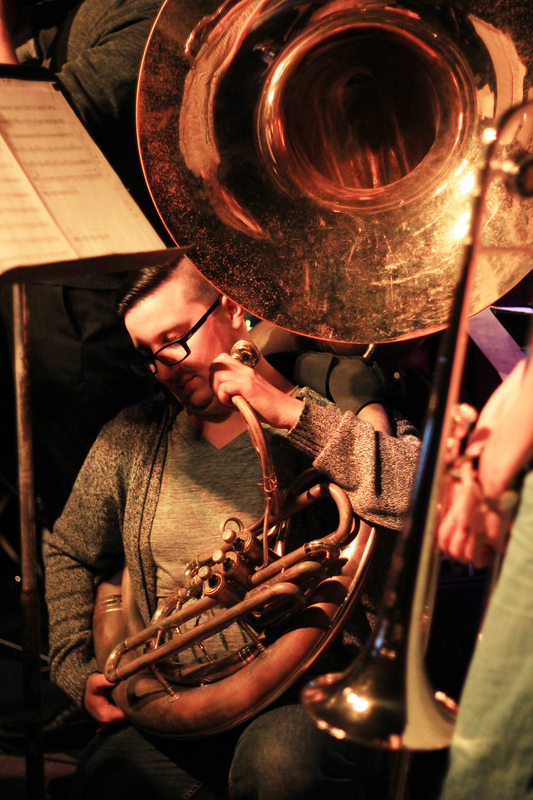 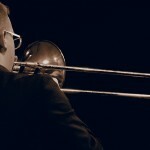 While at UofT, I studied trombone with William Carn and Terry Promane; composition with Phil Nimmons and David Braid. 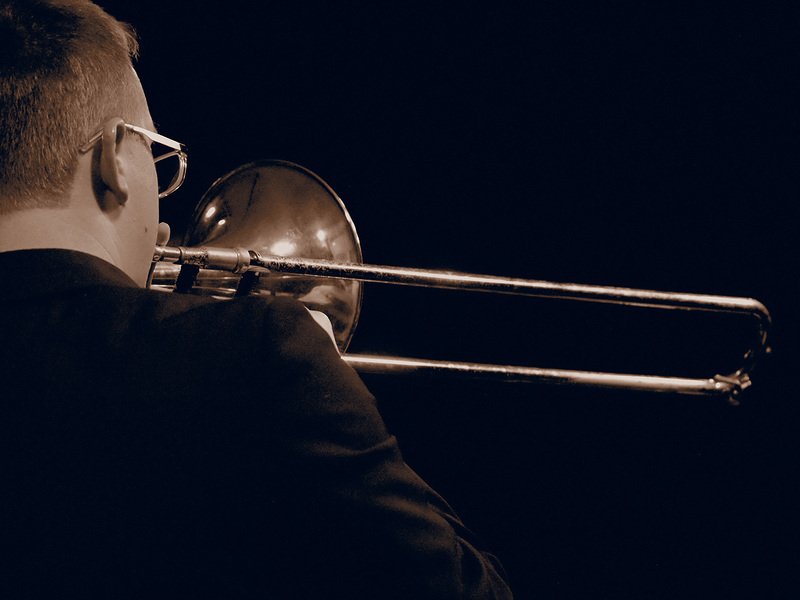 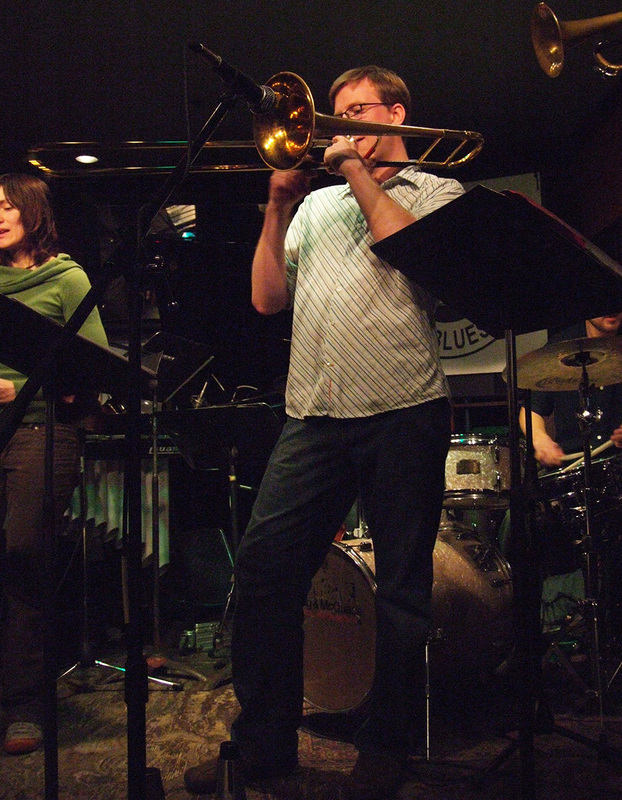 Throughout my musical development, I have had the honour to work and study with many great artists including Tim Ries, Maria Schneider, Kenny Wheeler, Bob Brookmeyer, Ingrid Jensen, Denny Christiansen, Hugh Fraser, Conrad Herwig, Dave Restivo, John Hollenbeck, Julian Argüelles, Mike Murley, Lew Soloff and Ian McDougall. 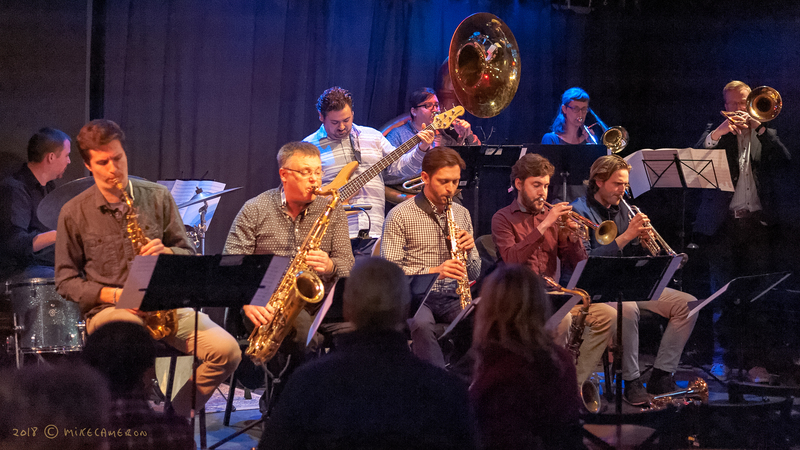 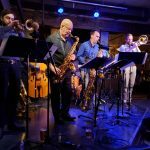 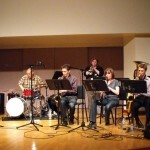 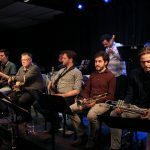 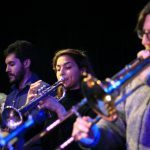 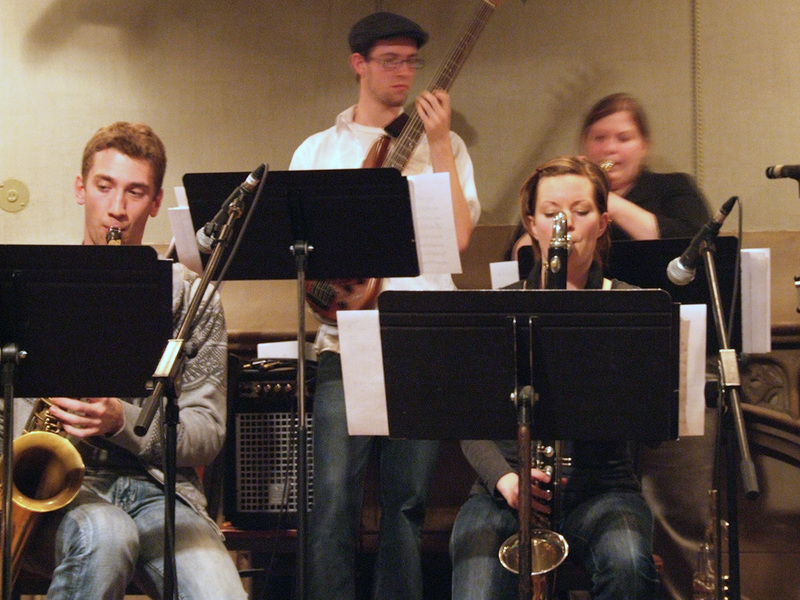 This 11-piece group started as a a way to showcase compositions by Carla Bley, but has expanded to include more original music and arrangements of quirky oddball music. 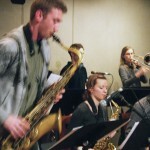 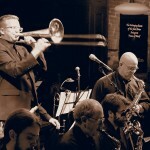 The unique instrumentation and innovative arrangements made for an exciting and creative approach to jazz; drawing on diverse influences in addition to Carla Bley; such as Lester Bowie’s Brass Fantasy, Orange Then Blue, Django Bates, Charles Mingus, Thelonious Monk, ICP Orchestra and Tom Waits. 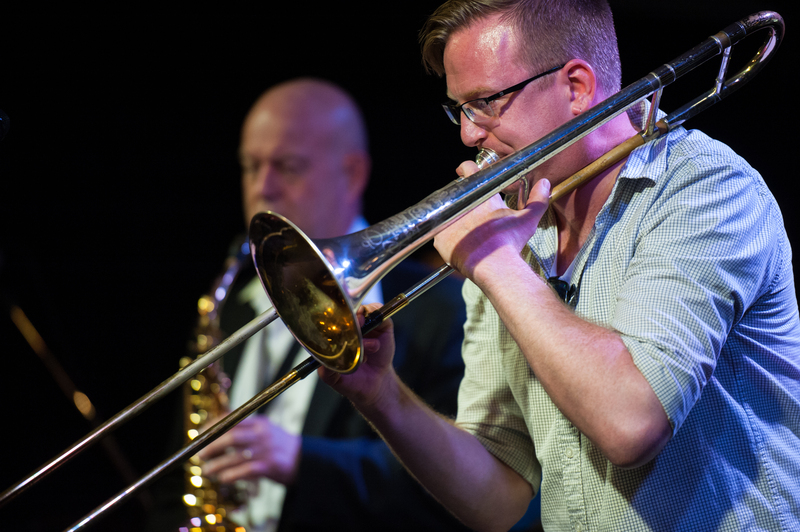 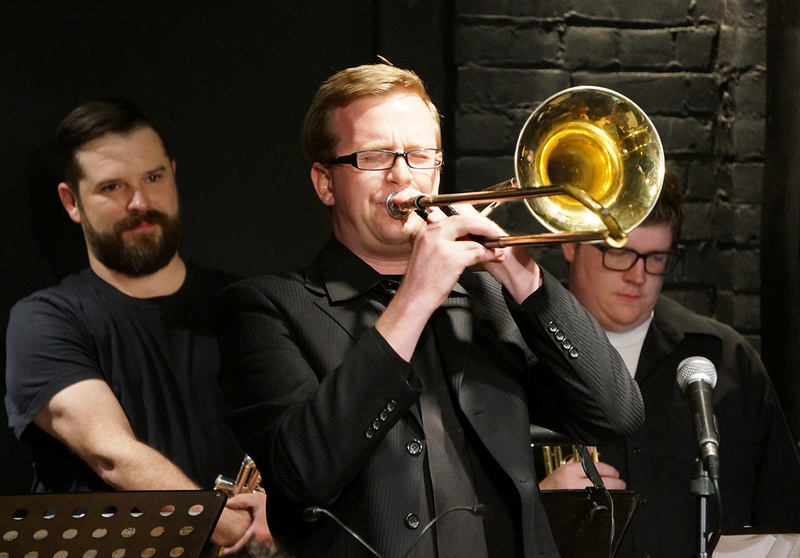 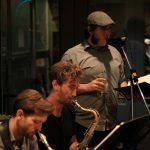 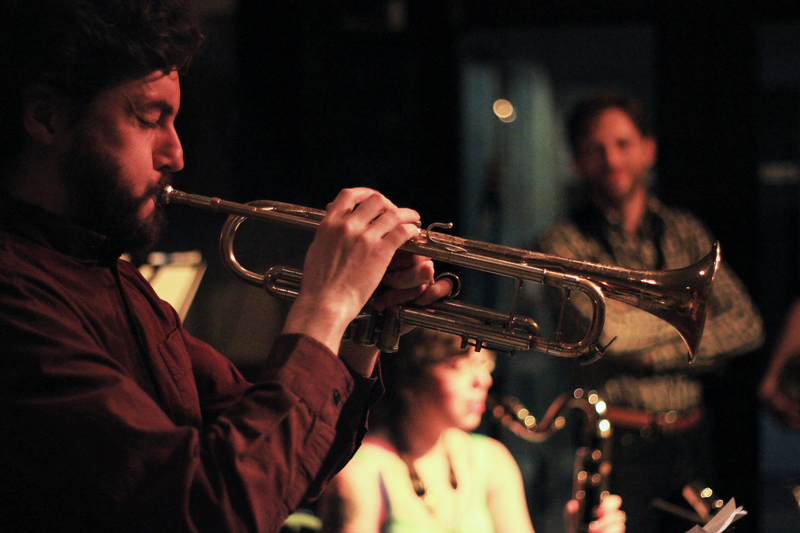 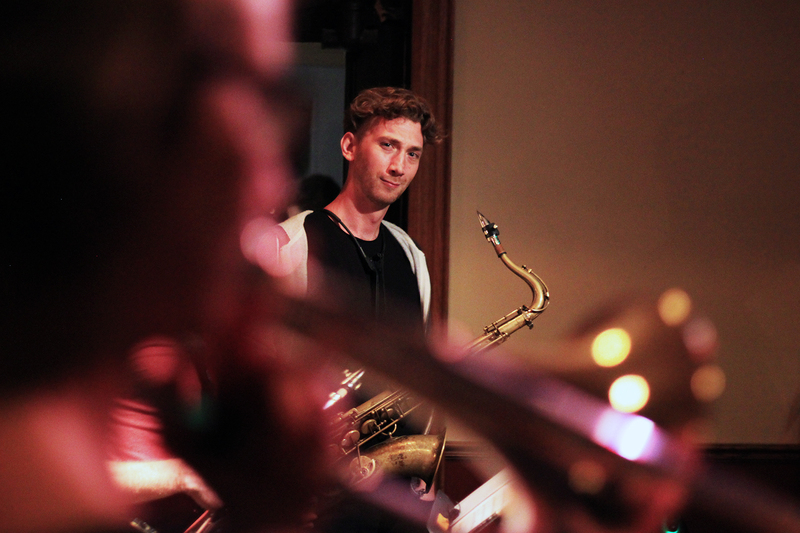 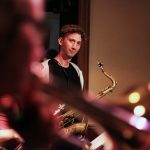 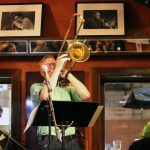 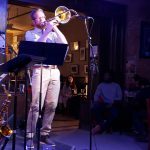 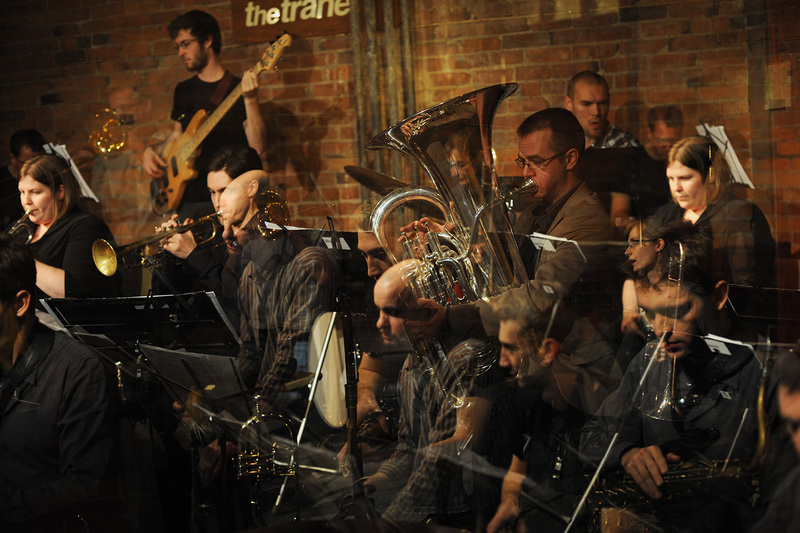 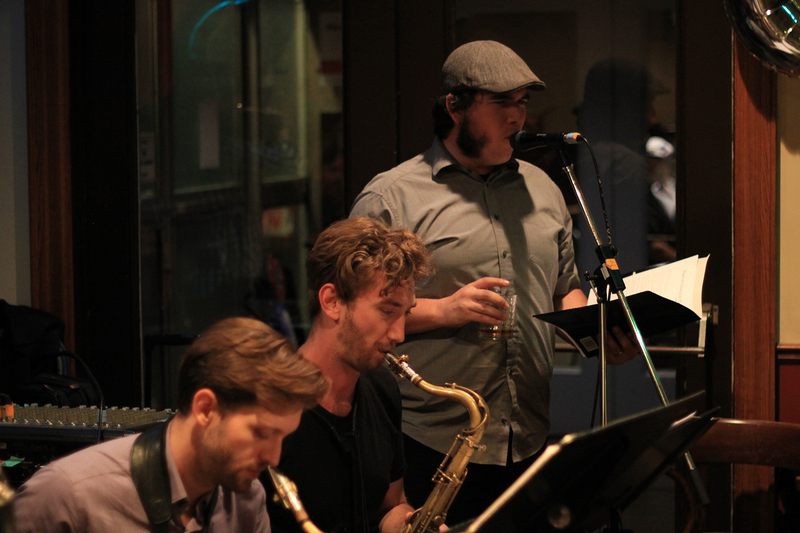 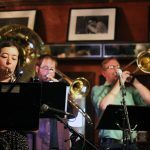 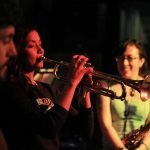 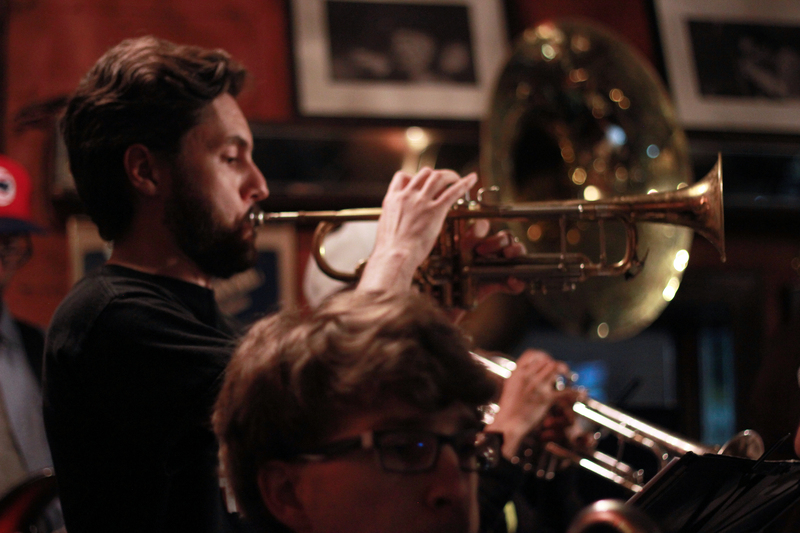 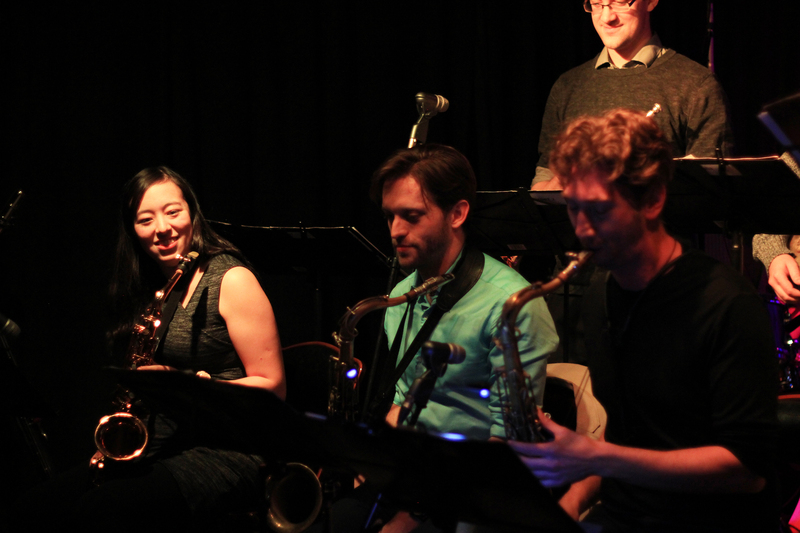 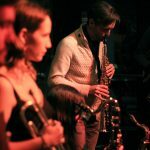 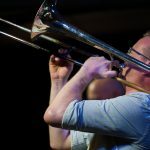 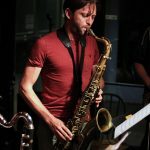 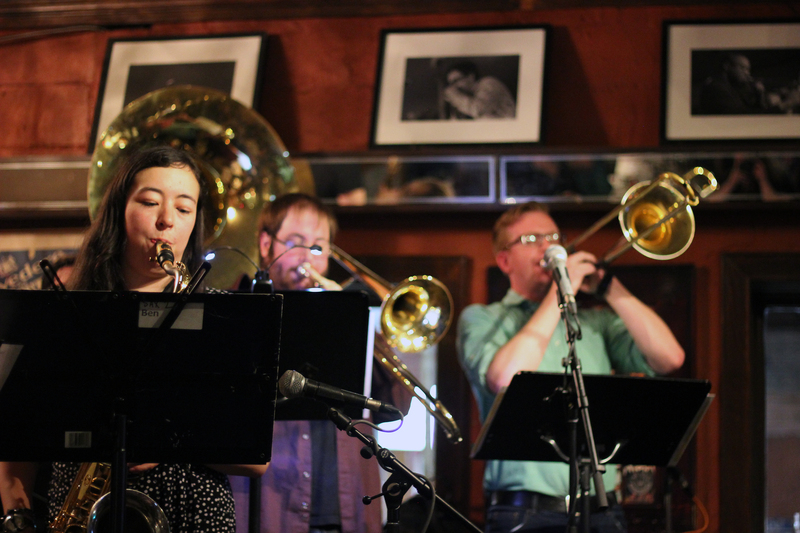 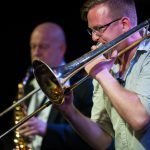 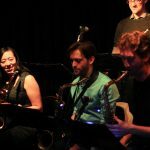 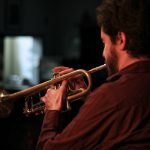 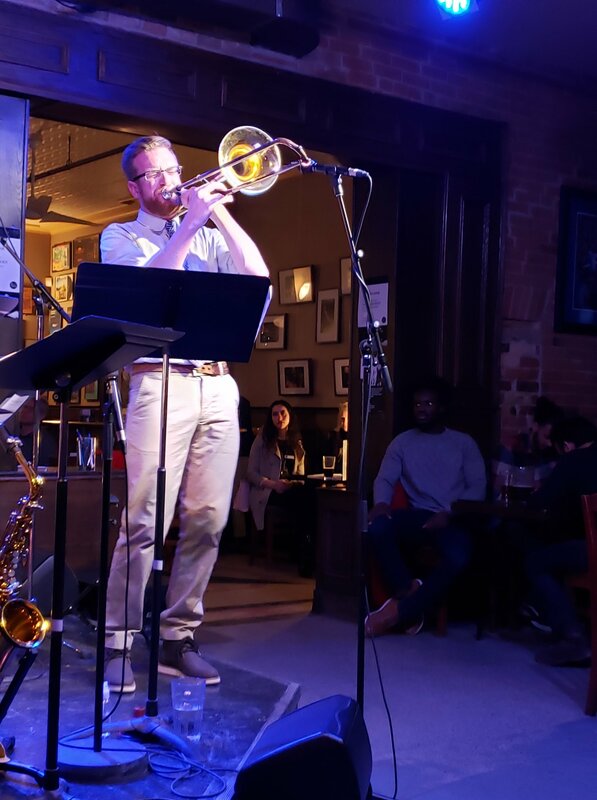 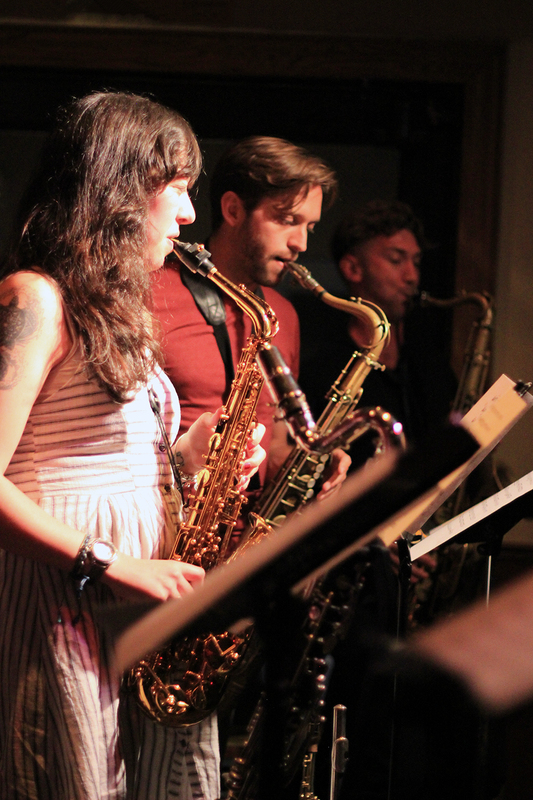 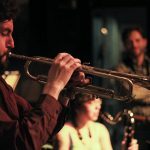 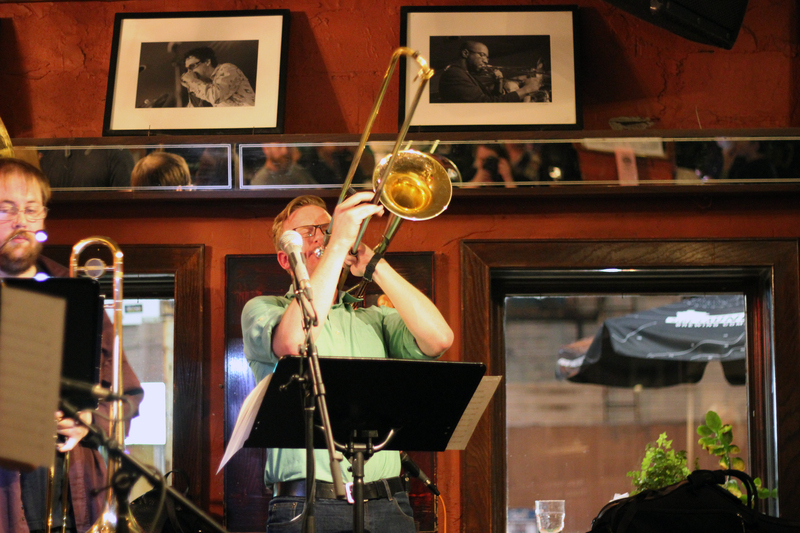 Featuring some of Toronto’s finest young musicians, the Robin Jessome Quintet presents a fresh approach to contemporary jazz and improvisation. 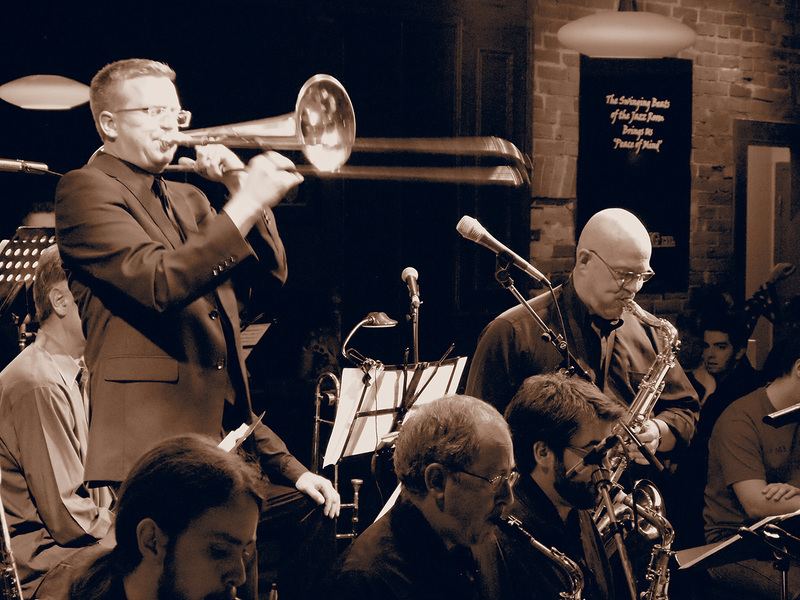 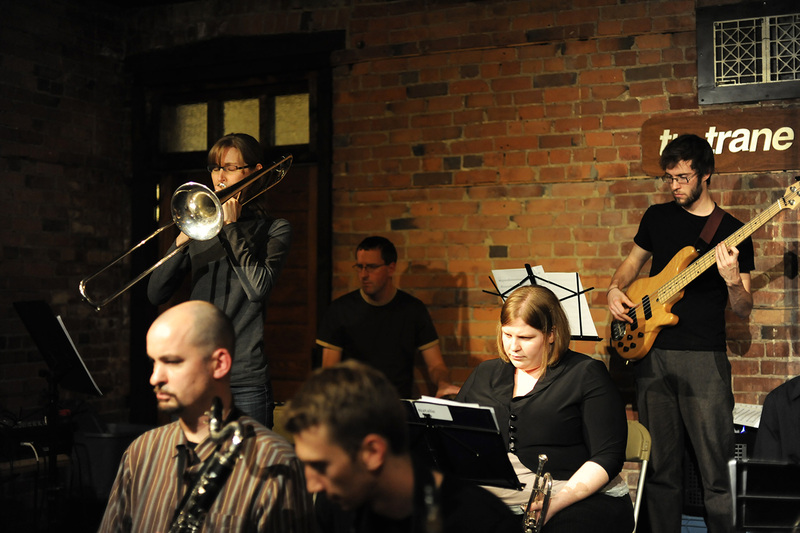 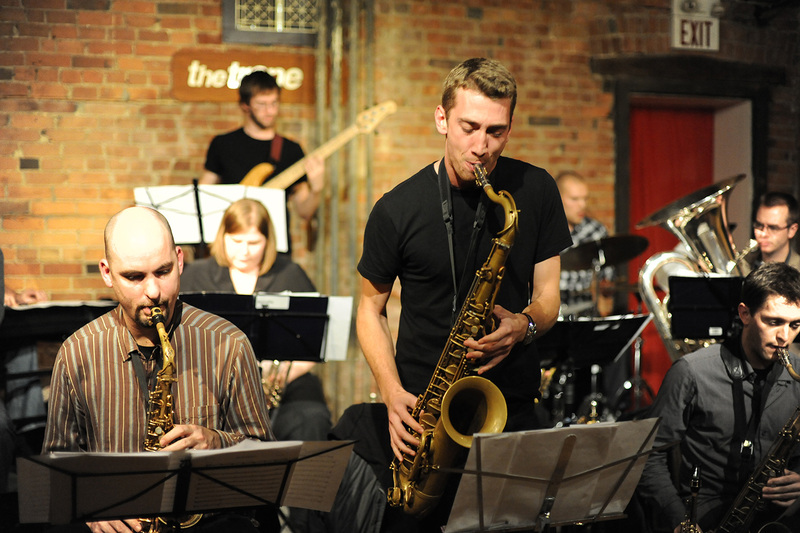 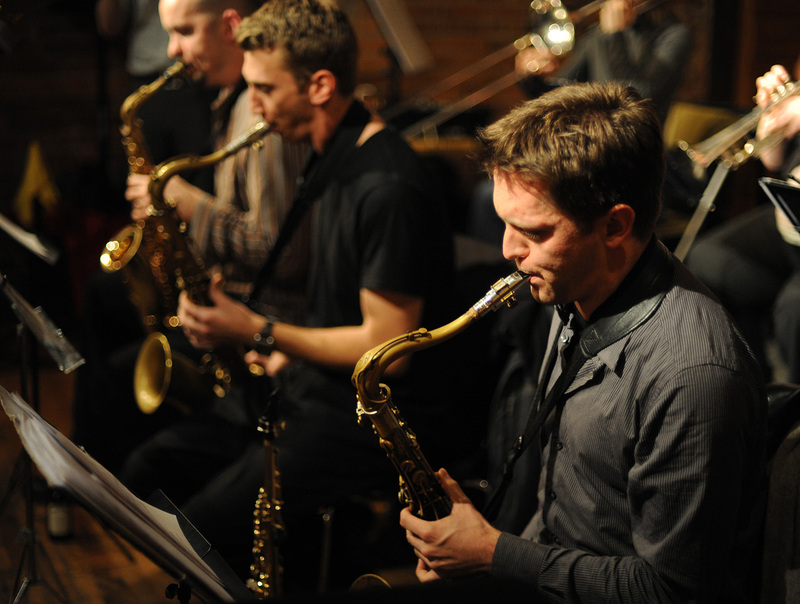 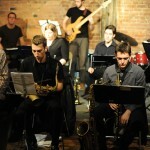 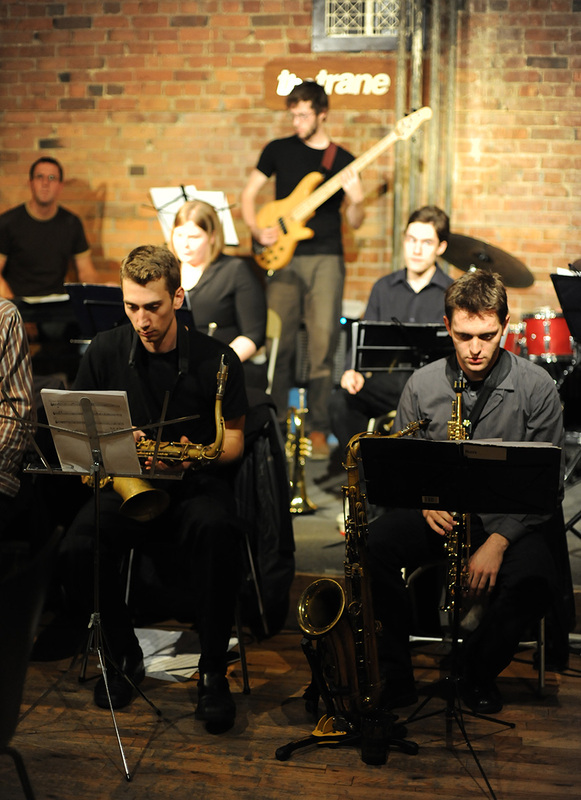 Drawing on influences such as Carla Bley, Dave Holland, Kenny Wheeler, Ornette Coleman, Charles Mingus, Dave Douglas, John Coltrane and Thelonious Monk the group offers a unique juxtaposition of spontaneity and composition. 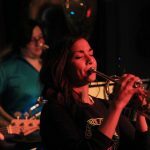 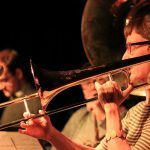 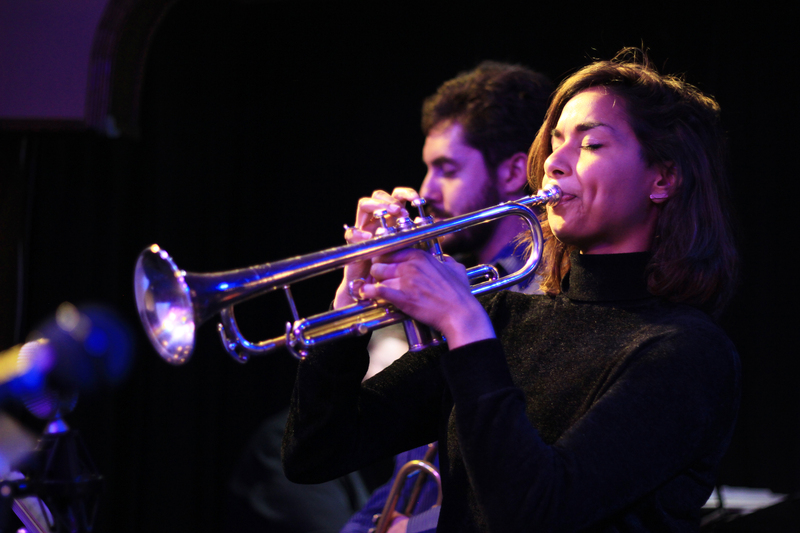 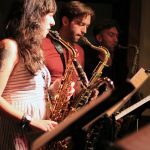 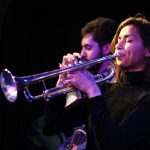 Their blend of intense interaction with adventurous compositions, moody textures and a good sense of humour make this band one of the fresh new voices in contemporary jazz. 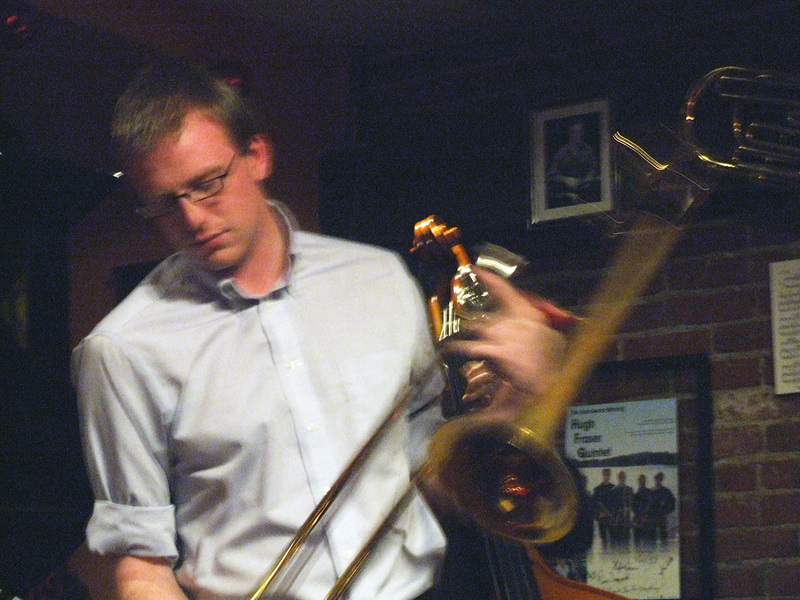 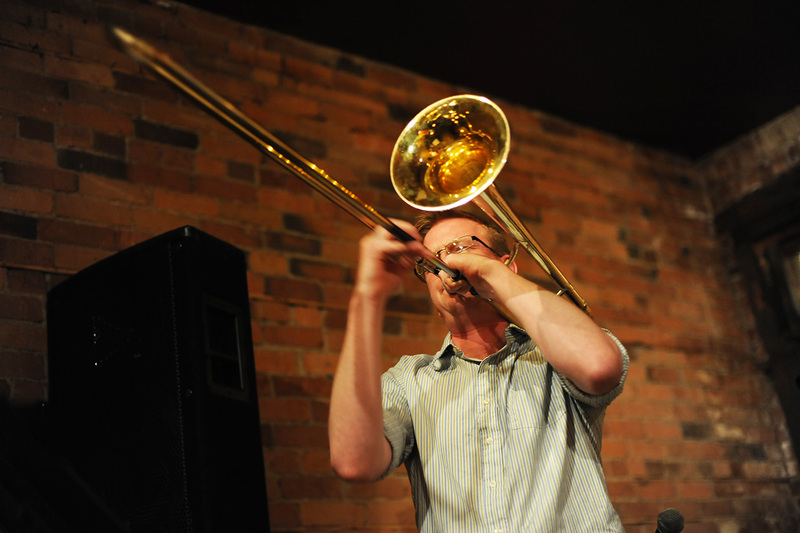 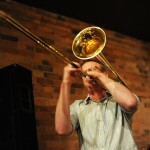 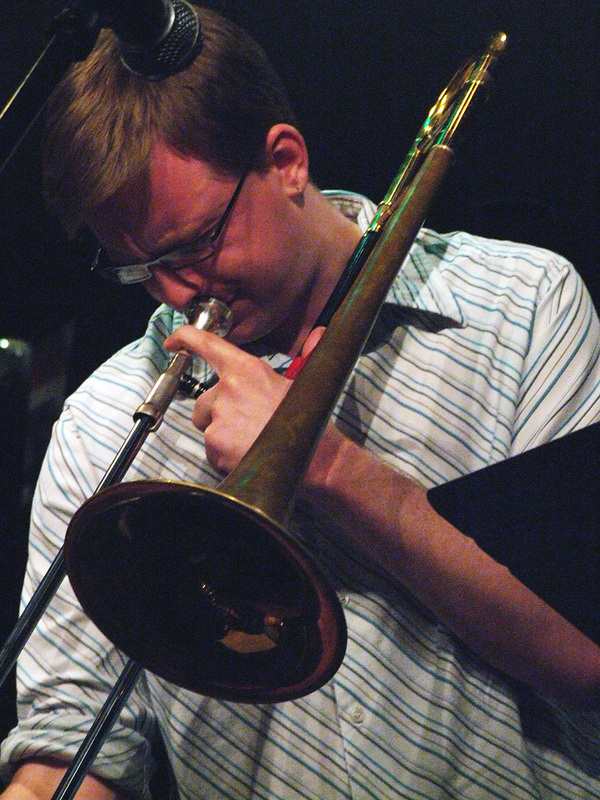 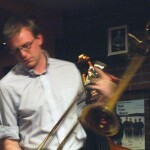 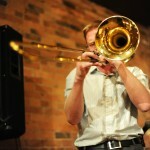 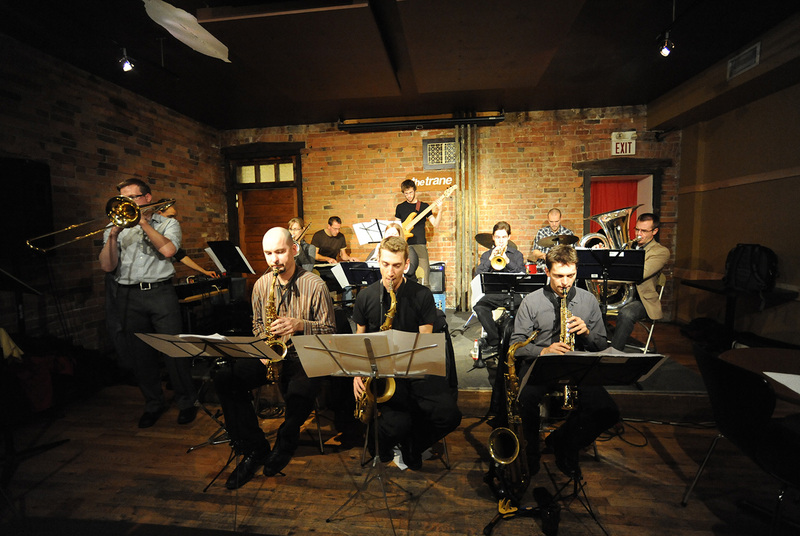 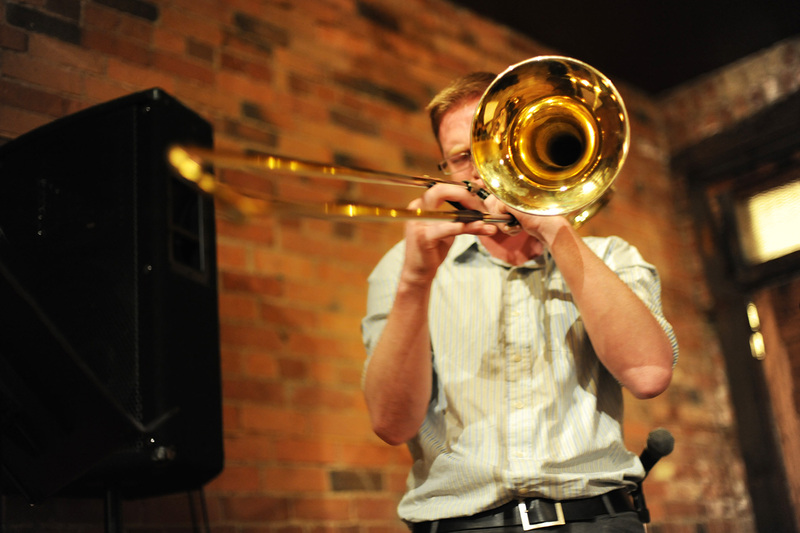 The Robin Jessome Quintet released a debut album “For Whatever Reason” in 2011. 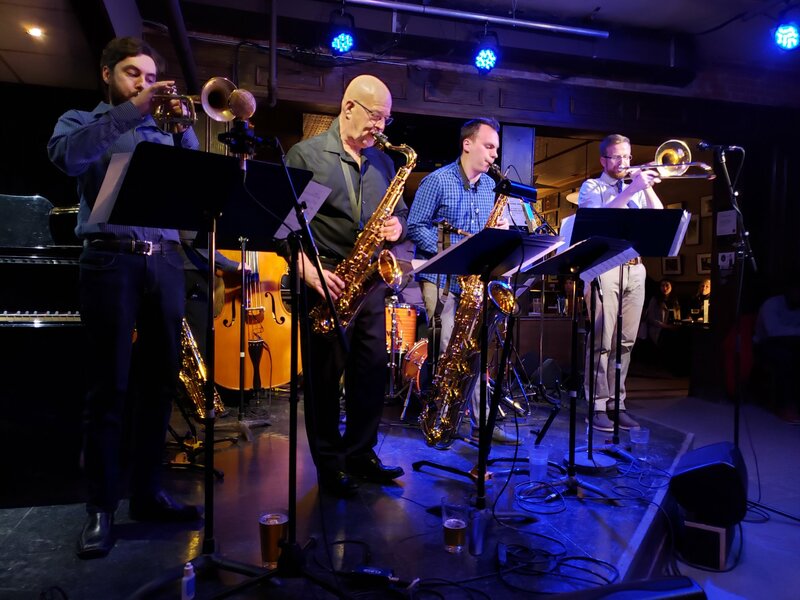 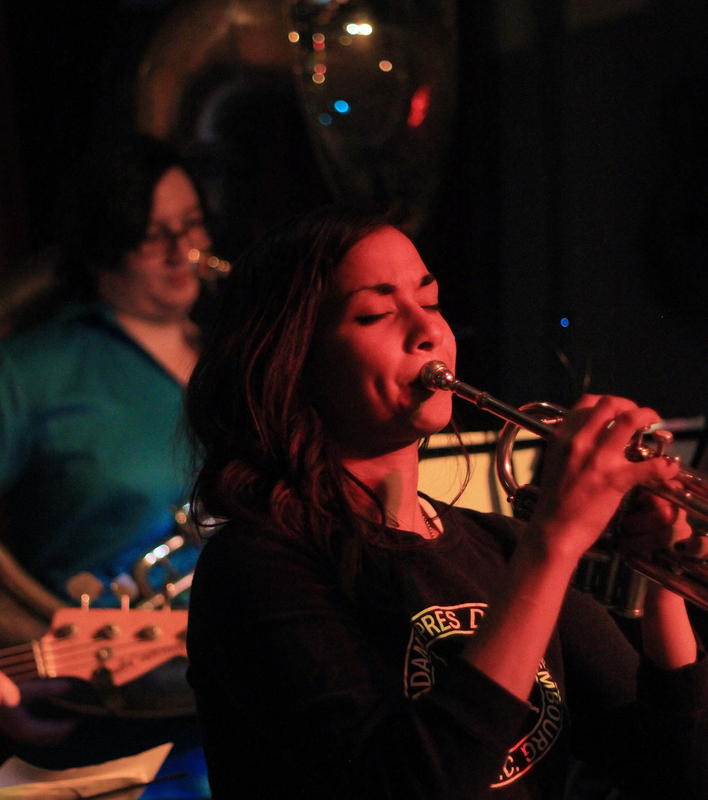 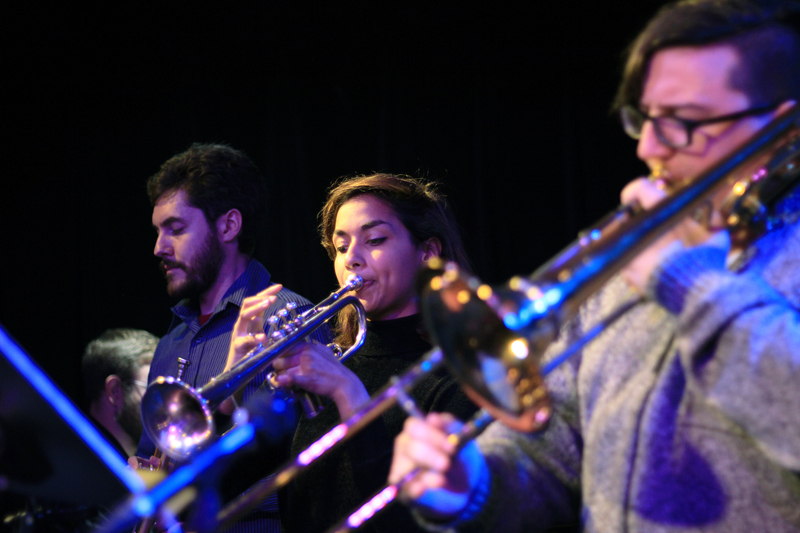 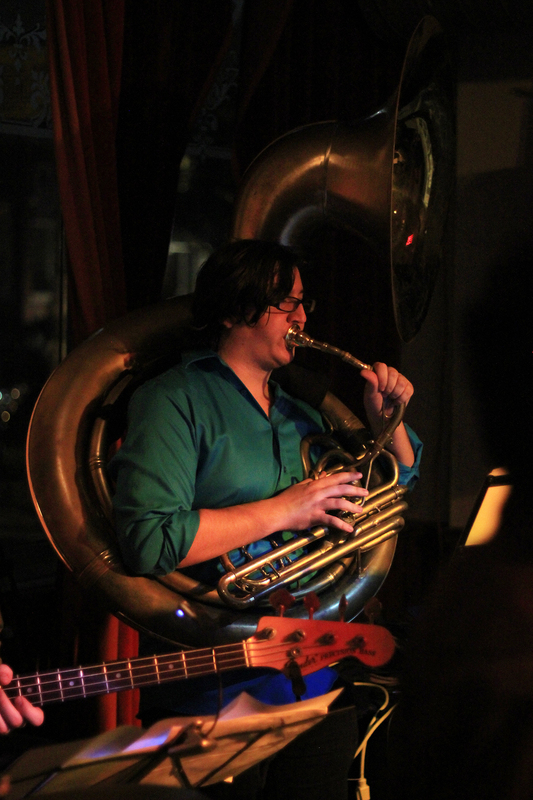 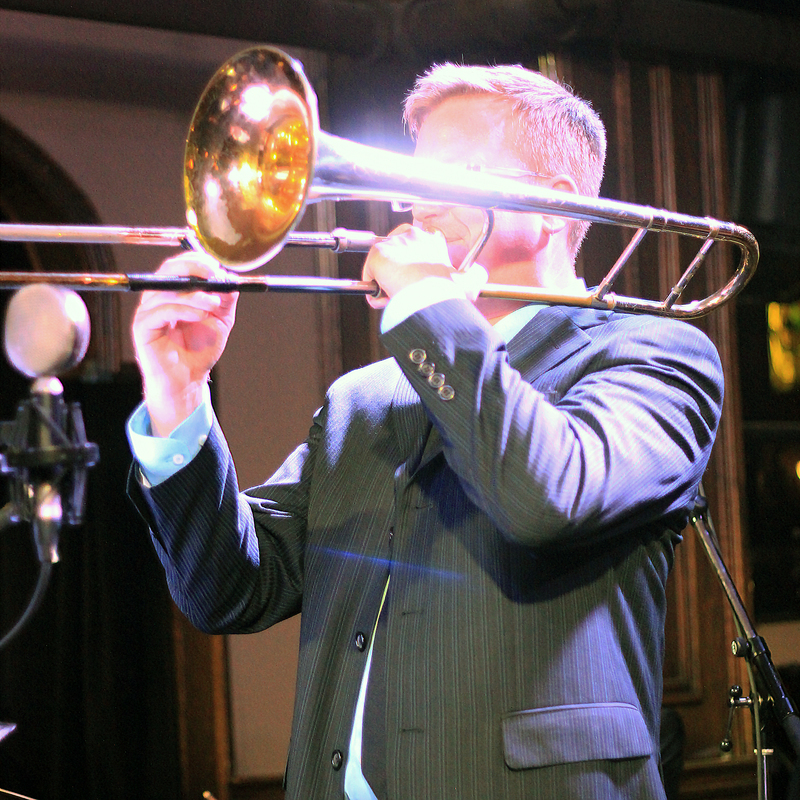 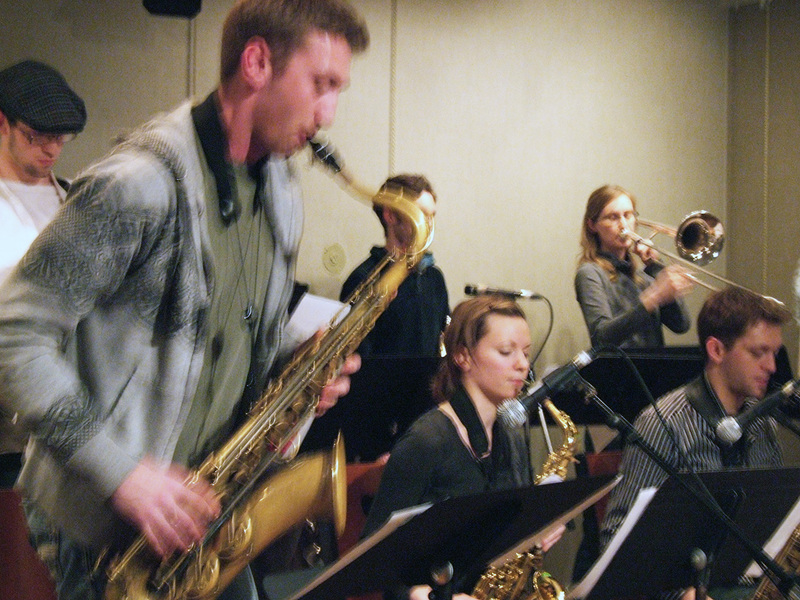 Other personal projects include: a Birth of the Cool-style nonet performing music from the classic Miles Davis recording, a hard-bop sextet, and the Mingus Appreciation Society. 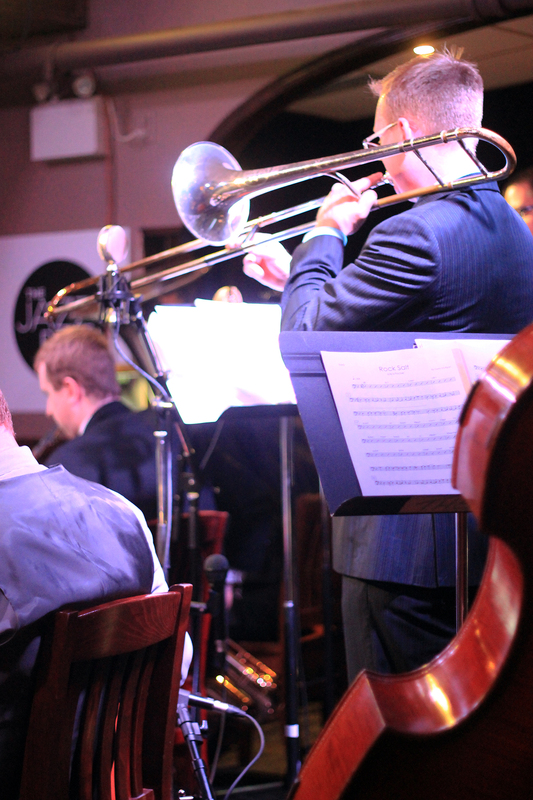 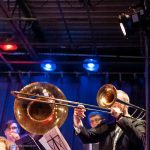 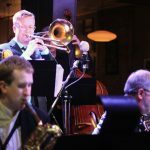 I also perform with various ensembles including local musical theatre groups, KW Big Band Theory, Derek Hines Little Big Band. 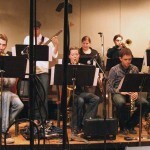 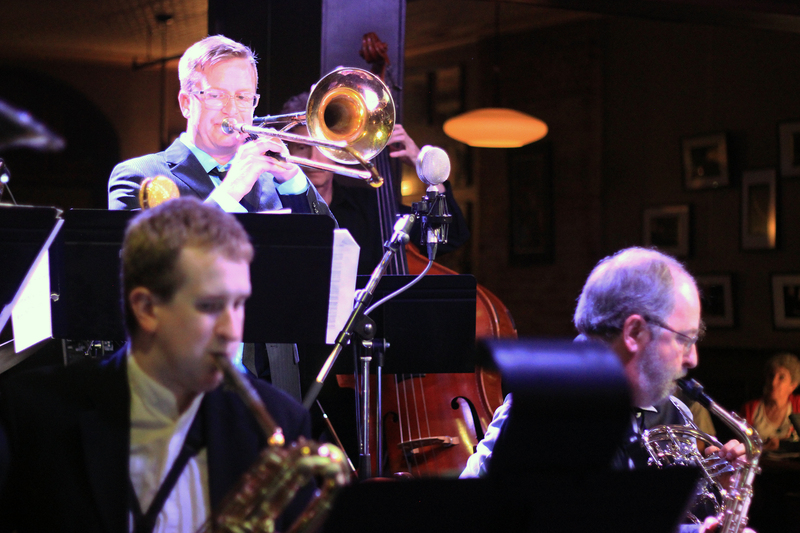 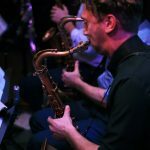 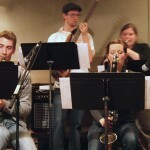 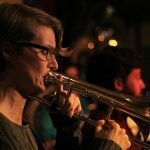 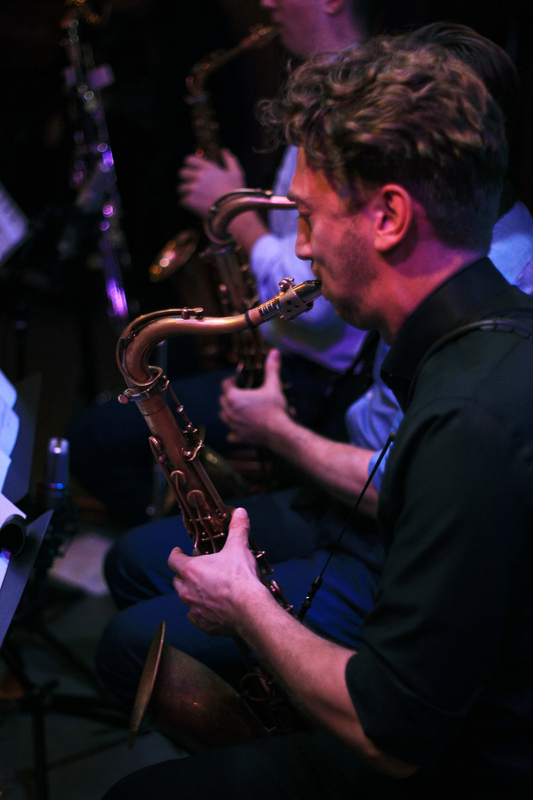 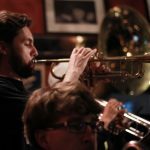 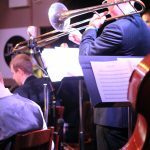 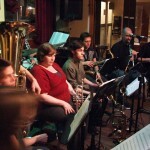 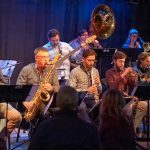 Big Band Theory, featuring guest artist Michael Occhipinti on guitar, and showcasing his original music for large ensemble. 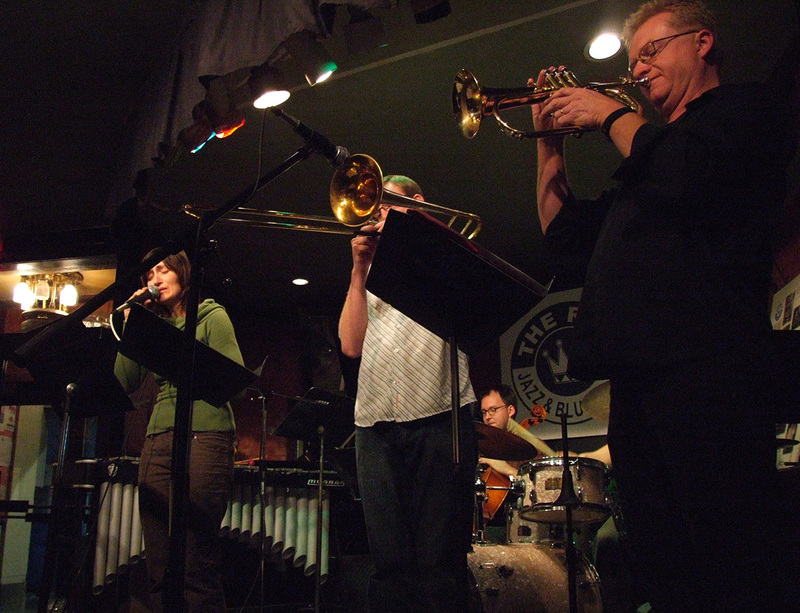 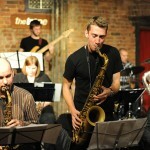 With The Mingus Appreciation Society, The Jazz Room in Waterloo. 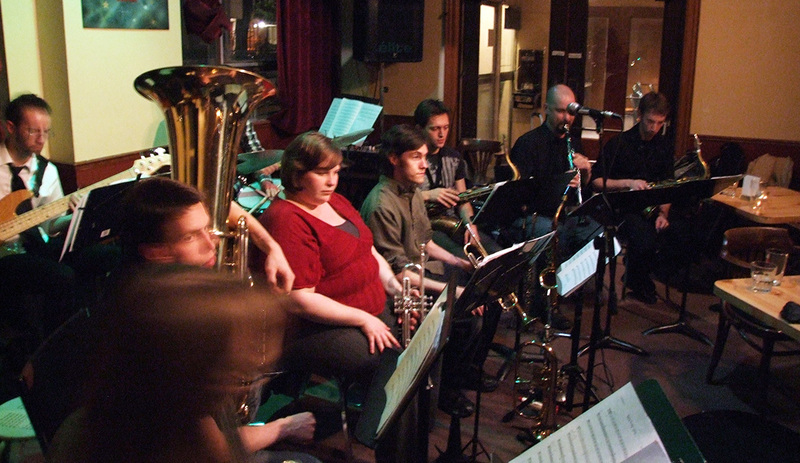 With the Jazz Connection Big Band at the Steel City Jazz Festival in Hamilton. 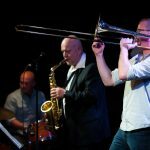 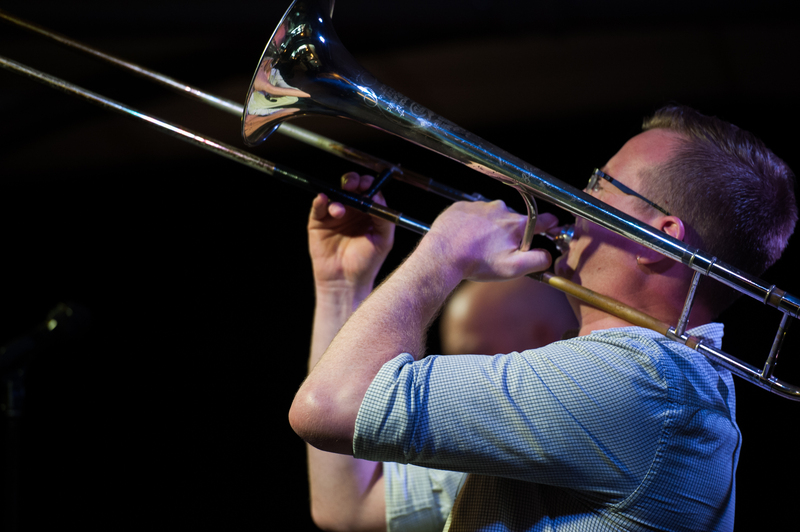 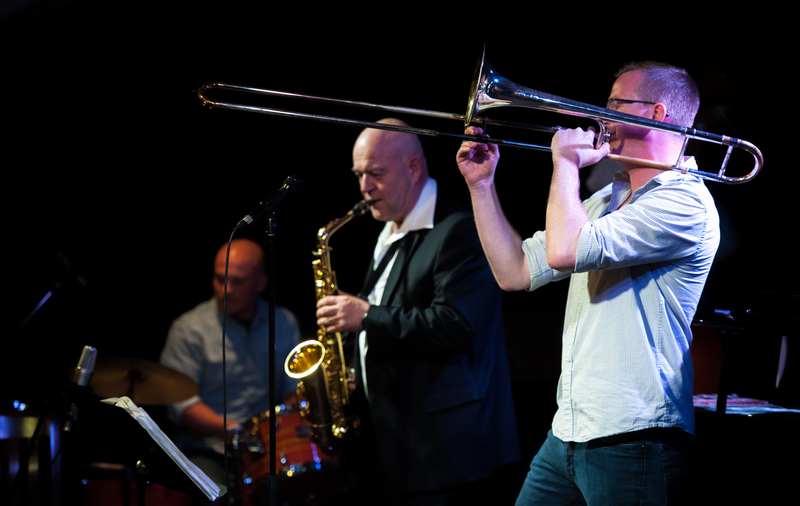 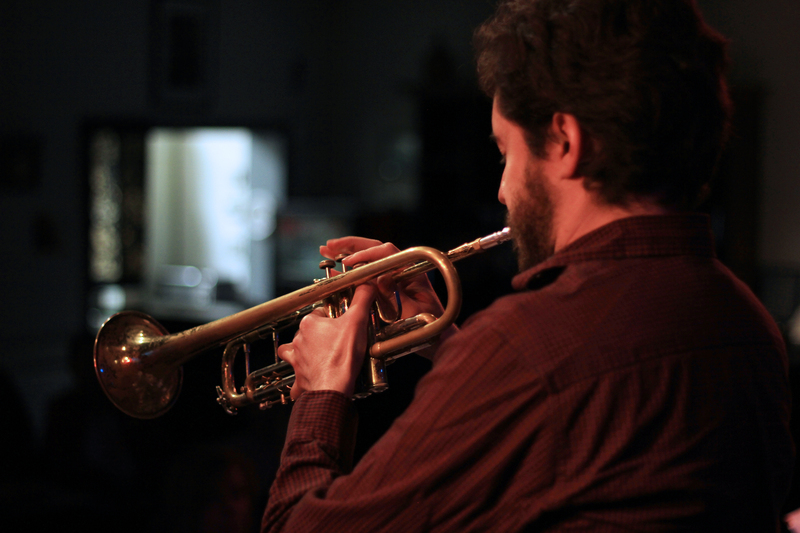 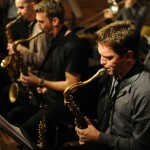 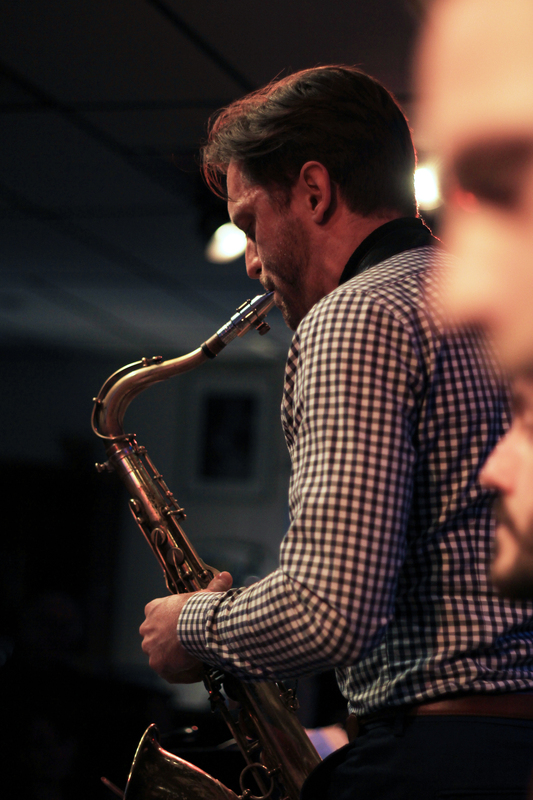 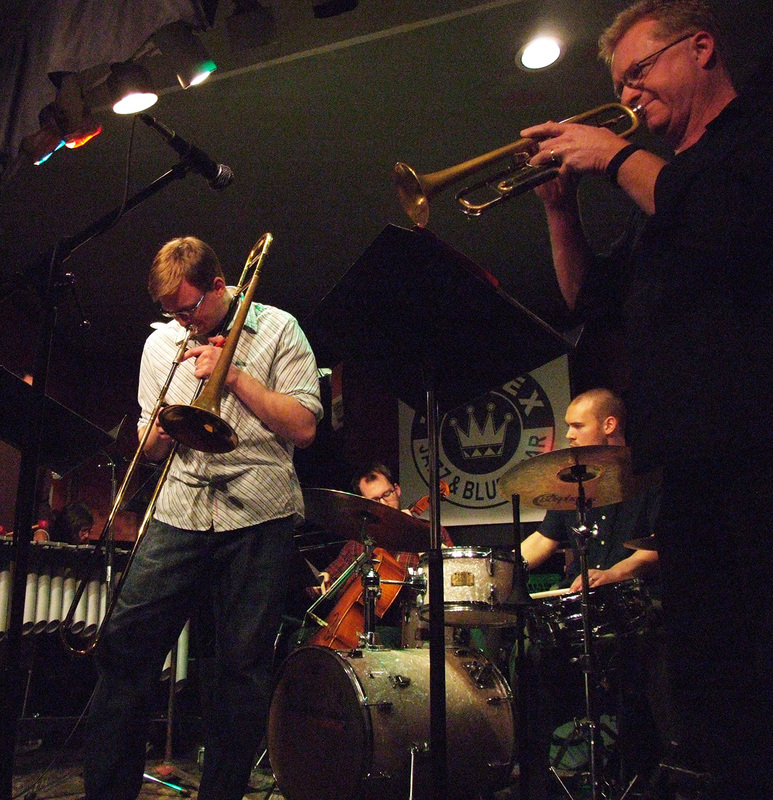 Quintet at Walter Hall – Tom van Seters, Mark Godfrey, Mark Segger, Gordon Hyland. 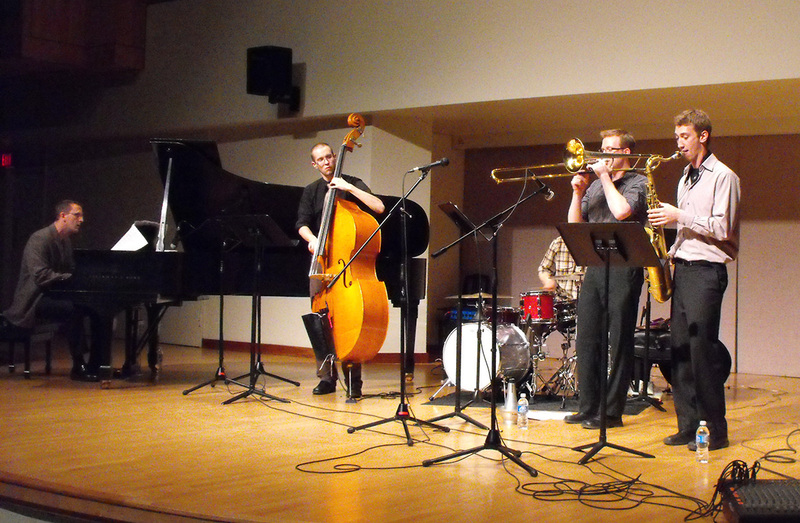 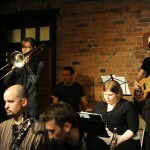 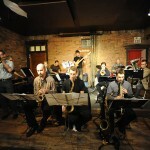 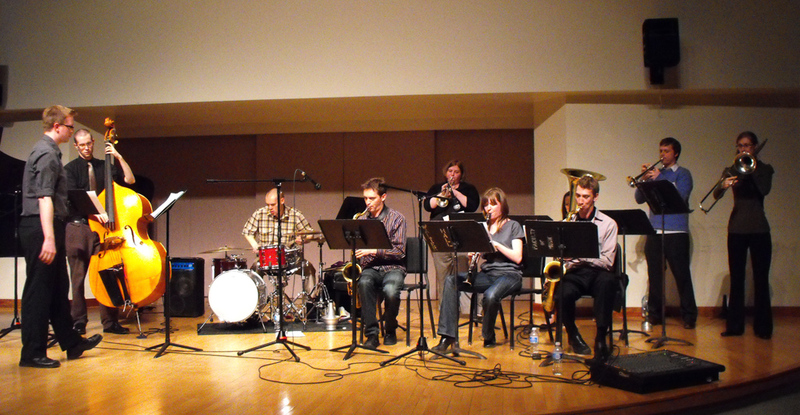 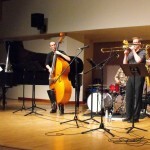 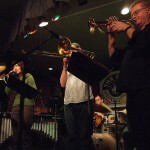 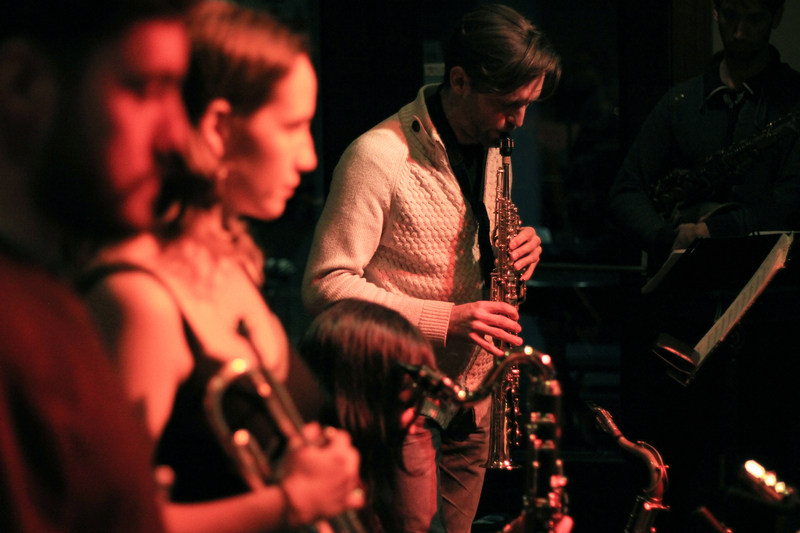 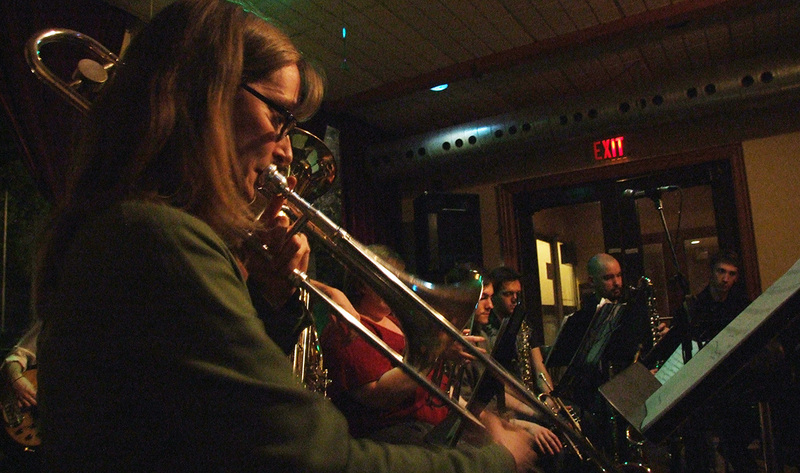 Quintet at Walter Hall, Toronto – with Tom van Seters, Mark Godfrey, Mark Segger, Gordon Hyland. 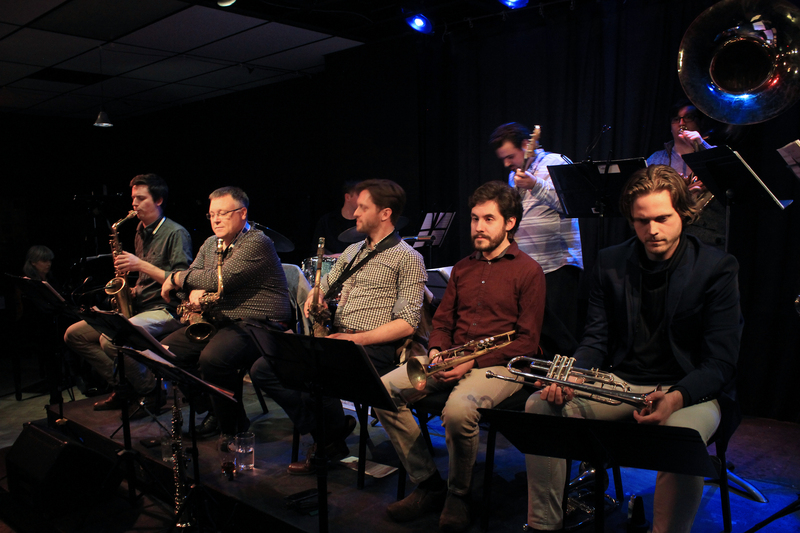 Blunt Object at Walter Hall – Mark Godfrey, Mark Segger, Ben Dietschi, Natalie Robinson, Alexis Marsh, Holly Dronyk, Gordon Hyland, Ryan Brouwer, Heather Saumer. 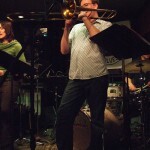 With Sienna Dahlen, Andrew Downing & Jim Lewis at The Rex, Toronto. 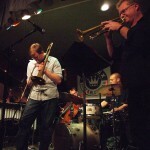 With Andrew Downing, Mark Segger & Jim Lewis at The Rex, Toronto. 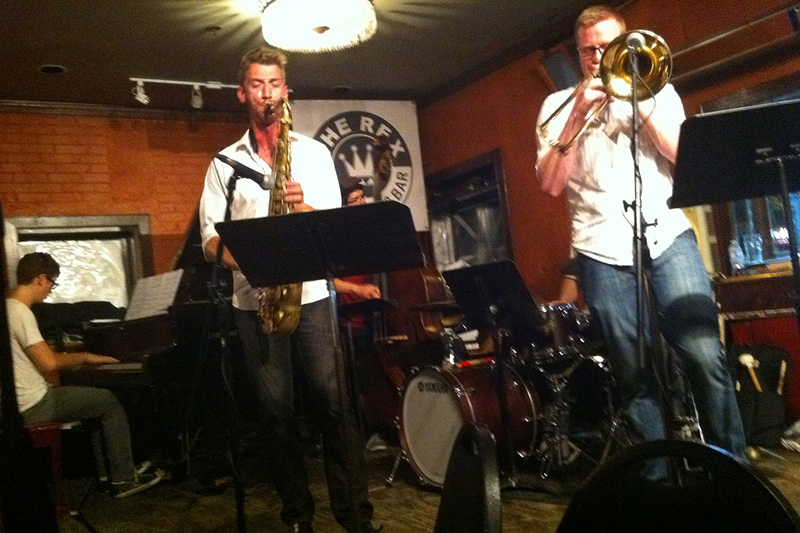 Quartet at The Rex, Toronto. 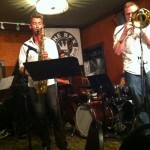 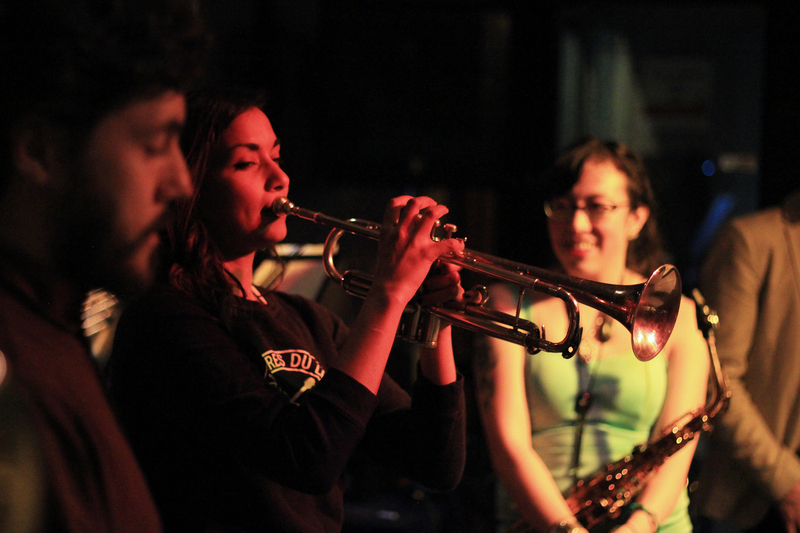 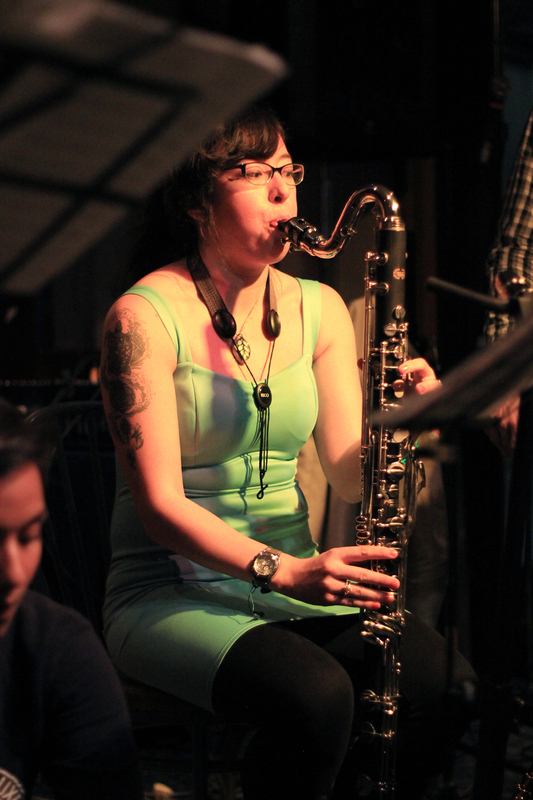 At Hermanns Jazz Club, Victoria, BC. At The Rex, Toronto, July 2017. 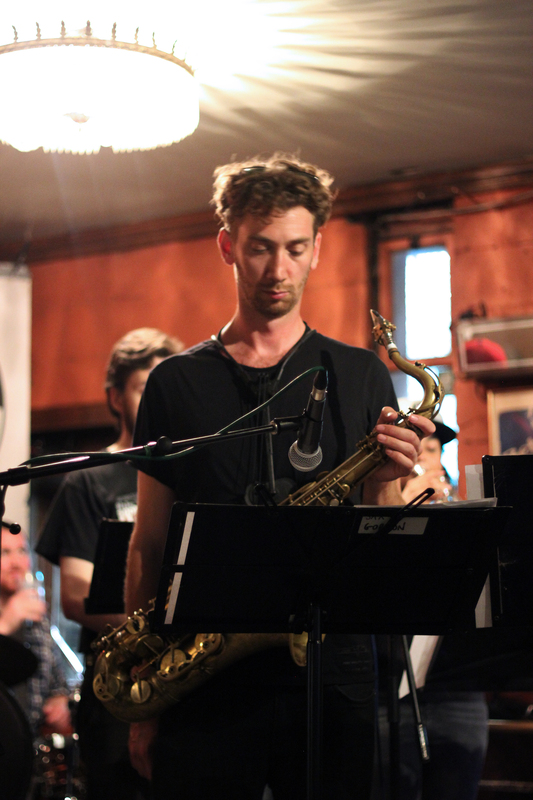 Jesse Malone with Blunt Object at The Rex, Toronto, July 2017. 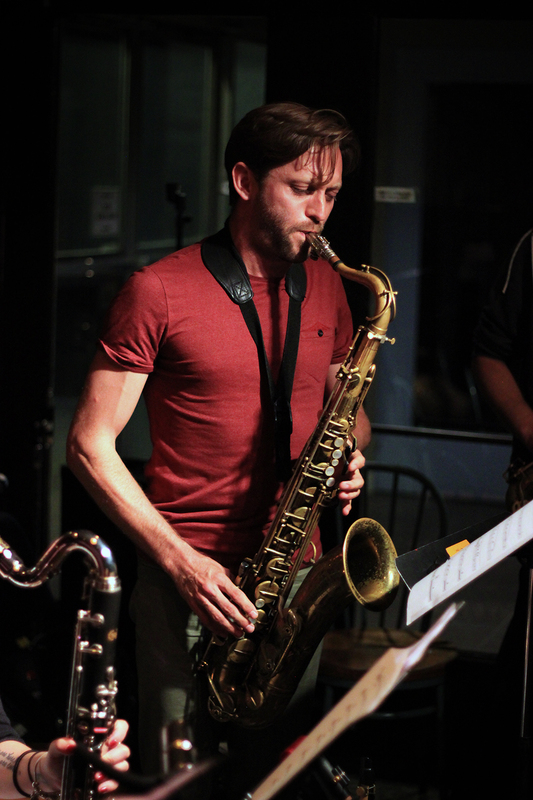 Gordon Hyland, with Blunt Object at The Rex, Toronto, July 2017.